looks awesome, looking forward to using it! I'll be posting the form for entering into the in game directory soon. But I need some help before that. I'd really like a logo like the one for the site, with the full web address and Housing DIrectory added. For the logo - if you google image search "Wildstar Icon" there's a good selection of options. A .png of the graphic used in the WSRP banner can be found here. I'm not very good at image manipulation and creating graphics, so that's all I can do to help in that regard. As a flavour thing - I personally feel that it would make sense, assuming the directory is to exist as an in character thing you can access, that it eventually be given a name that would work for that. Personally I feel some Protostar reference (Since they control the housing system, basically) would work the best. CookieDragon The plan is for a person to enter their own data into a google form. I do this so that they can get an email with a link to edit it in the future. I will, of course check this all out before releasing stuff. Baze I'm not planning on treating this as an IC thing such as PDA was. This is purely to make it easier for RPers (new and old) to find places. You could, of course act like it's in IC thing on your own, but I won't be branding it that way. Check OP for link to submit your public housing plot. 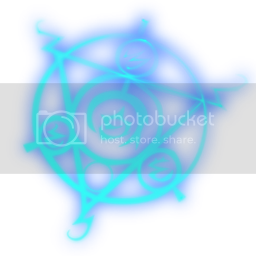 You can pull the WSRP PNG right off the site and augment it, and if you need the Photoshop source let me know, or I can try making something to your specification. The WildStar logo is based on a font called Xirod, though many of the letters have been reworked by whoever did the work. It's still pretty decent for a starting point. I can mod it, I just didn't know what font was used for the text. I have updated the OP to reflect the current state of the project and make it more useful for future users. A little bump here. Only two people have placed their info in the directory to be included so far.